When you look at men like Aidan Shaw and the tons of other rakishly handsome cads on bicycles at Pitti Uomo, it’s easy to shrug, raise palms in defeat, sigh to the heavens and rue the day that genetics dealt you a bum hand with lousy looks. 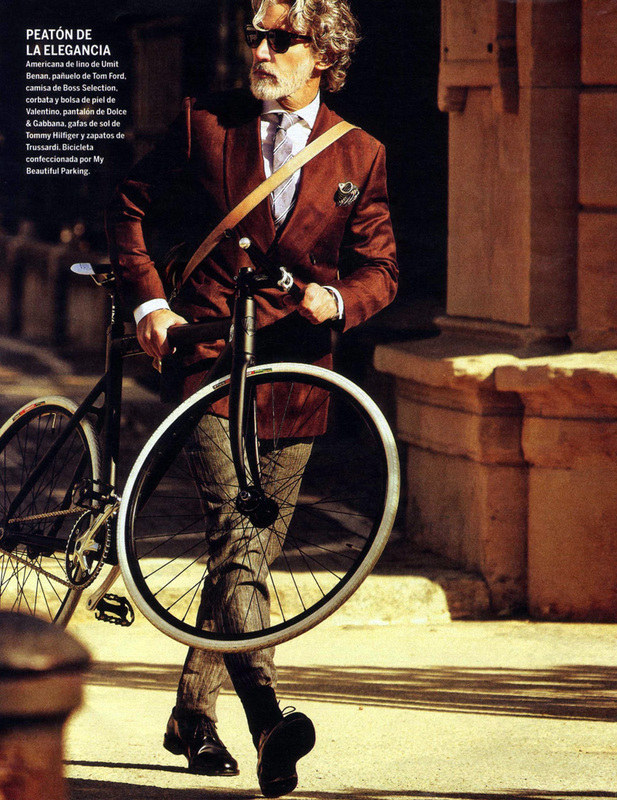 OR, you could simply ride stylishly by way of a little sartorial infusion by Berluti in collaboration with Cycles Victoire. While it might seem an odd pairing- a men’s haberdasher in the field of sports? There is actually a historical precedent, from bespoke ski boots by Torello Berluti for non other than Rudolf Valentino in the 1920s and then Greta Garbo, this time for Berluti ski boots in navy blue; the maison has been producing comfortable bespoke sporting shoes for functional comfort without sacrificing the foundational elegance that is Berluti. From golf and polo players to eventually shoes for Jacques Godet, director of Tour de France, the artisanal bootmaker has come full circle with yet another cycling inspired collection much like the sleek shoes made from waxed velvet calf by Talbinio Berluti. Known within the cycling circles, the smaller boutique (versus Brooks) Cycles Victoire was a 2011 brainchild of four cycling enthusiast friends at first and then the Clermont-Ferrand based maker soon became a full fledged business, earning a reputation for excellence. 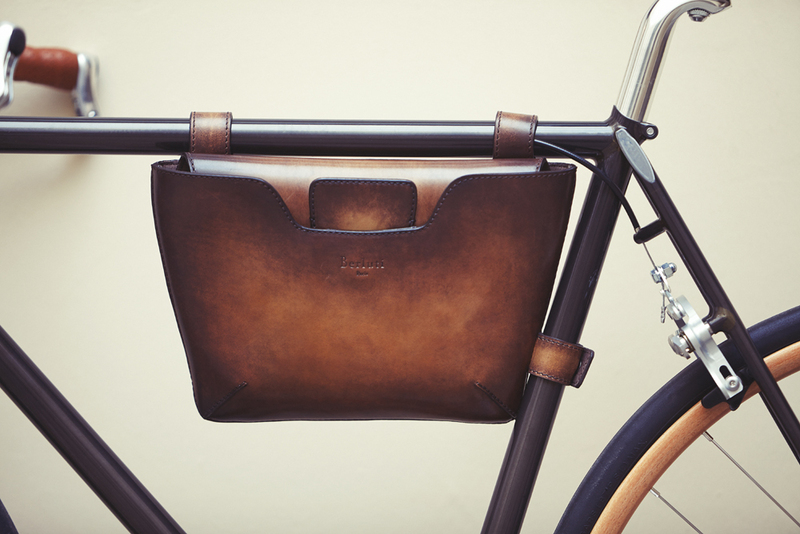 Combining French expertise with traditional craftmanship, the workshop with cutting-edge techniques produces bespoke cycles according to customer specifications; therein lies the unique fit with Berluti. 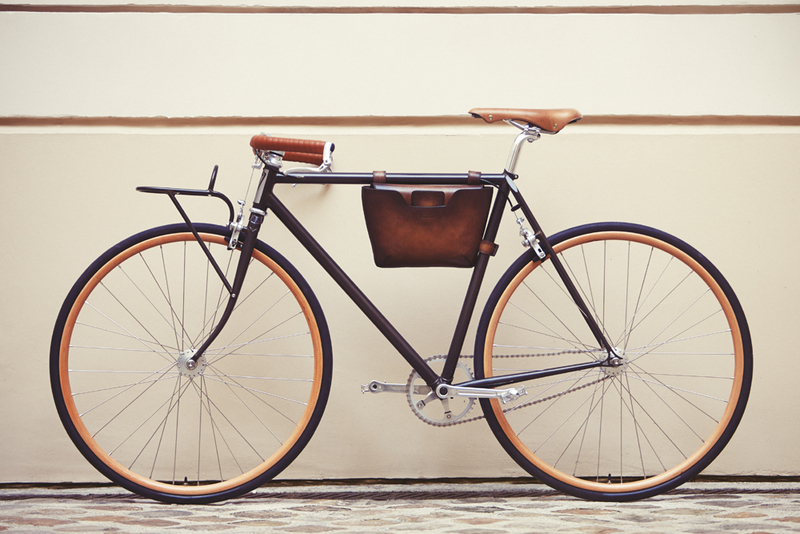 Entirely handmade in France, Cycles Victoire adds Berluti’s signature classic elegance to the mix creating a ride that fits the aesthetic of early 20th century delivery bicycles. Fitted with a made-to-measure carrier, the bicycle may look retro but it boasts the very latest modern features: a fillet-brazed frame; aluminium handlebar stem, handlebars, chainset and seat post; the wooden wheel rims on the other hand are a stylish touch and in terms of engineering performance, not a match for carbon fibre. But then again, the real question is- what would you rather be seen riding?